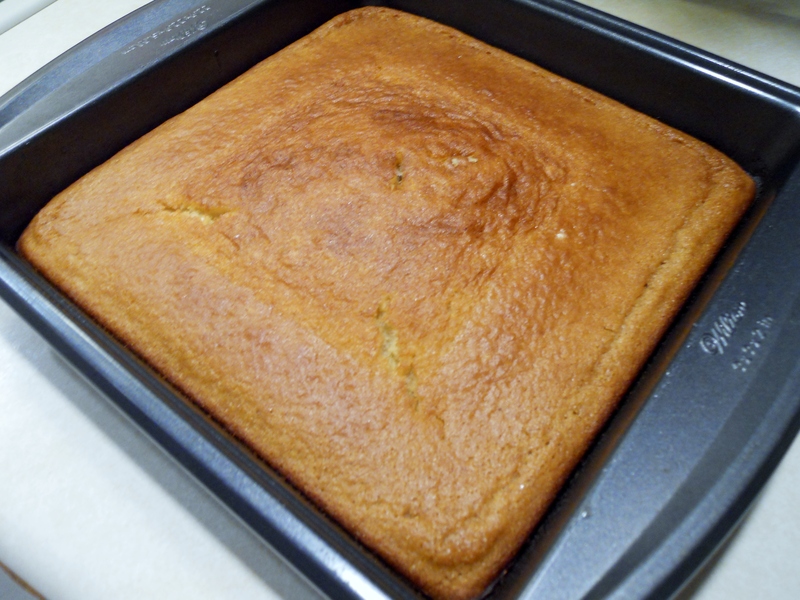 While I’m really a fan of any bread, cornbread is a particular favorite of mine. And, because of that, I’m quite picky about my cornbread. I considered not making this because I wasn’t sure if cornbread with a friendship bread base would meet approval, but it totally did. I recommend smothering it in honey butter and serving it along side a big bowl of chili. I don’t think there’s anything better! Preheat oven 425F degrees. Grease an 8×8″ pan and set aside. In a large bowl, combine starter, eggs, milk, sugar, flour and cornmeal. Beat at medium speed for 2 minutes. Add oil, baking soda, salt and baking powder. Mix well. Evenly pour batter in pan. Bake for 25 minutes or until a toothpick inserted in the middle comes out clean.